25 pages times 20 posts equals 500 scenes from non-horror video games that are spooky, creepy, frightening, shocking, surprising, disturbing, unnerving, freaky, or in any other sense scary. They may range from mild scares to full-blown terror, as long as they are found within any game that is otherwise child- or teen-appropriate. Please limit yourself to one scene per post, and try not to duplicate previous posts in the thread. 1. Rambi Rumble (Donkey Kong Country 2) The majority of this stage plays like a typical hive level. That is, until you approach the end, and the music suddenly becomes frantic and you find yourself being pursued by a giant, invincible Zinger. It's an interesting lead-in to the area boss, but can be quite frightening and unexpected the first time you encounter it. 2. The Private Oasis Secret Cave (The Legend of Zelda: The Wind Waker) There is absolutely nothing wrong with this island except for one room, which forces you to drop into a Redead's scream range with no warning* whatsoever. Elephant screams after an innocent drop are a very unwelcome jump scare. 3. 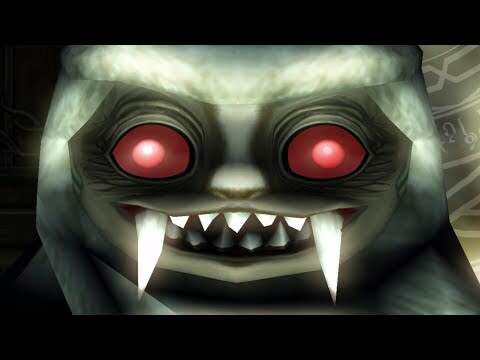 Big Boo's Haunt - Mad Piano (Super Mario 64) - Slightly creepy place but there is one area where the end all jump scares awaits. Nigh-invulnerable, appears out of nowhere, swims much faster than you, Jaws music. Tucked away in a secret corner of Milla's Dance Party (a brightly-coloured, upbeat level) is a portal to an eerie red room filled with caged demons who whisper constantly, asking Milla why she didn't save them and saying 'the fire burns' (her backstory has her running an orphanage that caught fire while she was away-----she returned in time to see the place burn down, but not to save her wards, and being psychic, she felt them all dying). Pretty messed. 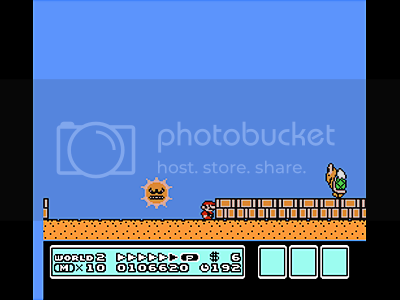 When Val was little, he would waste a P-Wing to clear this level without having to deal with the Sun. 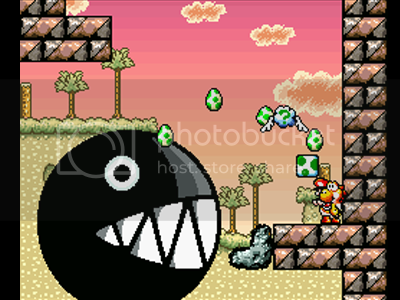 He's a lot less intimidating when you realize you can kill him with a Koopa shell, but as a child he's quite scary. 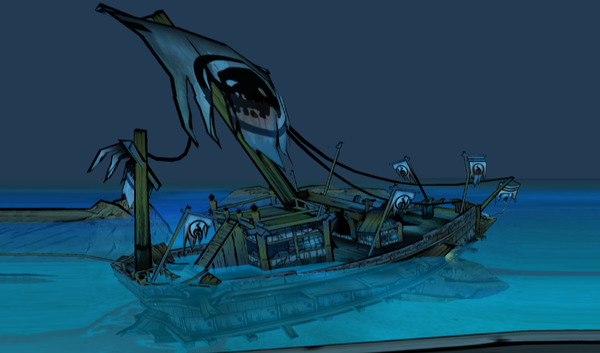 A partially submerged ship loaded with disembodied floating heads of bosses, creepy dolls, giant underwater zombie hands, and piles of skulls guarded by a crab-shark hybrid. 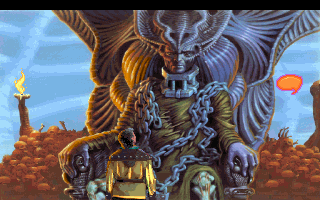 It took me a long time to get through this place as a kid, mostly because of the horrible decor of skulls and creepy noises around the corner, accompanied by the strange ambient music. The boss itself isn't that scary, but its agonizingly drawn out death and reemergence as a flesh-stripped skeleton is. Well, look at it. Doesn't help that newly-terrifying transformed versions of Sue and Misery are possessed to fight you against their will. Few things are scarier than this thing speeding into your face. "Thaddius, built from the flesh of women and children, it is said that their souls are fused together - eternally bound within that foul prison of flesh." 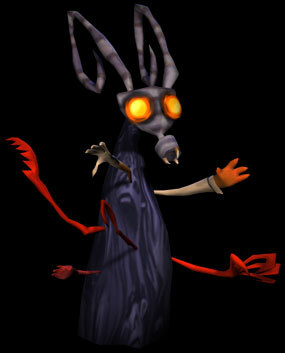 Another giant, indestructable enemy that chases you at high speed. Still feel bad for it when it chips its teeth, though. Aside from their ghoulish appearance, the Headless are found wandering within a poorly-lit labyrinth and are quite tough when you first encounter them.